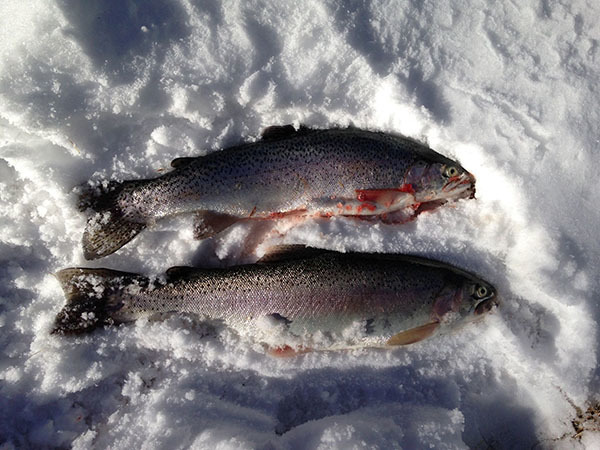 Eagle Lake trout on ice! 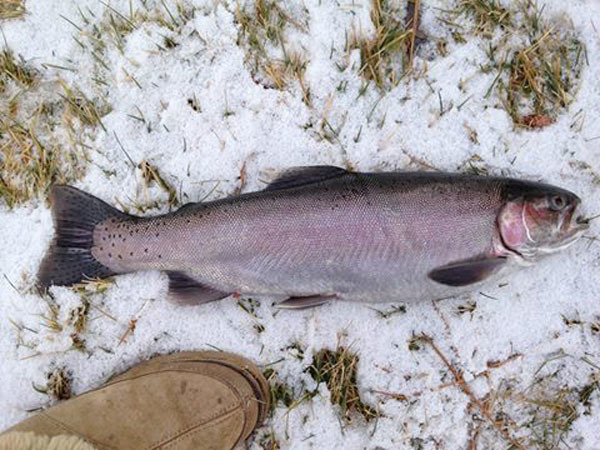 Valerie Aubrey checked in from with an Eagle Lake update. The Season is almost over! Ramp is icy but folks are launching! A1 passable, but take it slow down the icy grade. Some skim ice here and there and ice below Pelican Pt. Surface temp 39-40F. Low ambient temp this AM +8F, highs low to mid 40's last 2days. Saturday is the last day until Memorial Day weekend 2017!